Wil Calder is an astronaut when his experimental spacecraft breaks down near Neptune. What a crappy way to go, don’t you think? Alone in the deep dark of space. Except that’s not how the story ends; it’s how it begins. He’s rescued by alien space outlaws and his pod sold for scrap. Then he’s given a choice; join the crew or step out the airlock without his spacesuit. Which would you choose? If you’re looking for a lighthearted space saga, then this is definitely a book you’re going to want to pick up. Now, years later Wil is a lonely galactic outlaw himself looking for a crew because he’s bored out of his skull. Because it turns out, space is lonely and boring, so Wil could use some friends. Before Wil can even enjoy having a crew to call his own; they’re pushed into the center of a plot to start an intergalactic war. They had no part in starting it, and aren’t remotely qualified to stop it, but here they are. What would you do? Find a quiet bar on a backwater planet! That’s not an option for Wil and the crew of the Ghost though. Between epic space battles, a quest for redemption and a daring heist, the crew uncovers a dark secret. A secret that they can’t let stay in the dark. 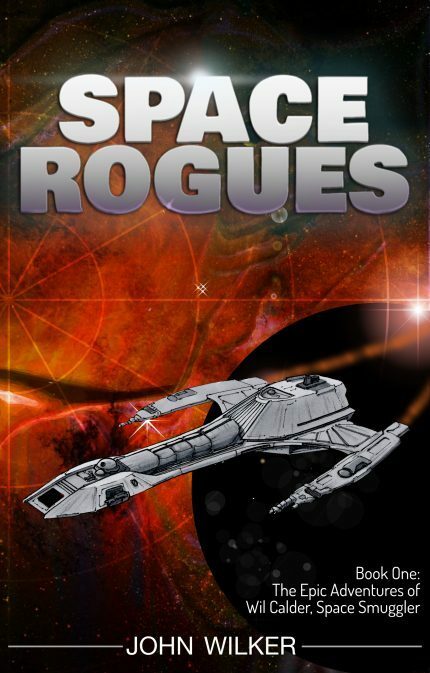 Space Rogues is a sci-fi adventure crisscrossing the galaxy. If you love Farscape or Dark Matter, you’ll love the crew of the Ghost.